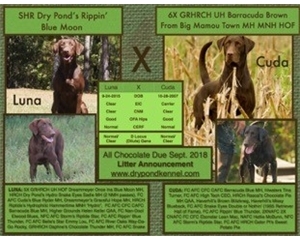 This is a line breeding of FC AFC CFC CAFC Barracuda Blue MH between SHR DRY POND’S RIPPIN’S BLUE MOON X 6X GRHRCH UH BARRACUDA BROWN FROM BIG MAMOU TOWN MH, MNH HOF owned by Joe & Tina Perron owners of Champion Retrievers. Luna gave birth to 5 females and 5 males on Friday, September 7th. 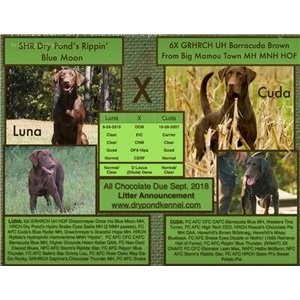 Puppies will be ready to go at 8 weeks of age - November 3rd. $2,200. 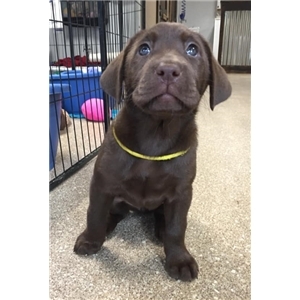 Deposit of $500 is required with balance due at puppy pickup. -well socialized and early potty conditioning is taught as early as 3 1/2 weeks of age. -Introduced to wings, whistles and water - weather permitting. SILVER BREEDERS NEED NOT INQUIRE!! 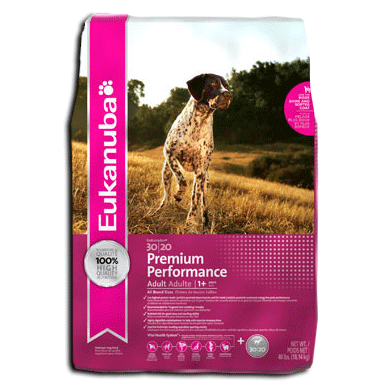 We breed for intelligence, train-ability, physical soundness, temperament, desire, athletic build, natural marking ability, and good all around attitude that can do the work and then come back home to be a valued member of the family. 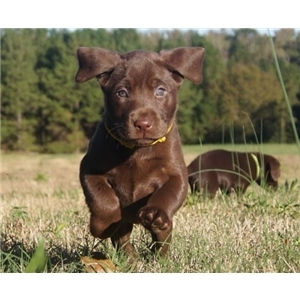 Puppies are well socialized with people and other dogs, introduced to duck wings, water (weather permitting), and whistles. We even start potty conditioning at the age of 3+ weeks, which makes potty training easier once at home.